Ok, So I am a few months behind on what’s been happening in Melbourne since the start of the year. Summer in Melbourne is always action packed with lots happening. Here’s some of my favourite work from January. February and March posts coming soon. AllThoseShapes is always capturing all the happenings on the street. I’m loving Akemi Ito‘s stencils that seem to be popping up everywhere lately, I not only like the imagery but also his process drawing, inking and cutting each stencil from scratch. 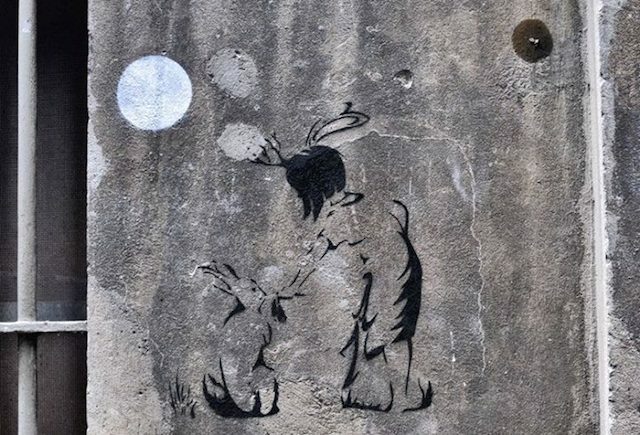 Good to see some new stencils. 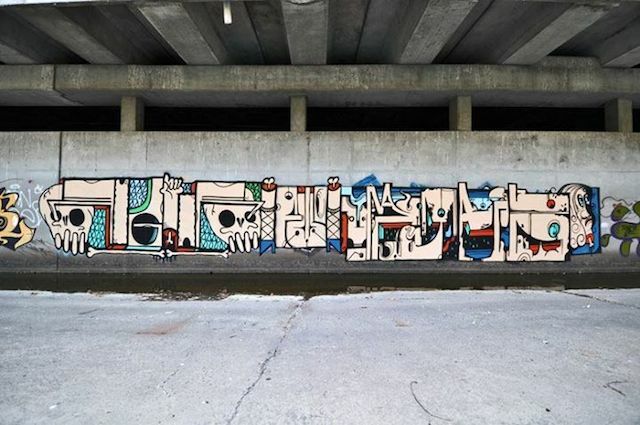 A great paste by Lifetime Stickyfingers and I love these abstract pieces by Quellle Atak and Madmax. AllThoseShapes also released his new book Figment – which is available here. A great book. Akemi Ito. Photo by AllThoseShapes. Lifetime Stickyfingers. Photo by AllThoseShapes. Quelle Atak. Photo by AllThoseShapes. David Russell, chief photographer at Invurt, has really stepped up his game lately and has captured some amazing photos. I have also included a couple of shots below Dave’s by Roberth Pinarete Villanueva, a new photographer in Melbourne, to show the contrast in styles. I love what Roberth does and his shots give you an amazing and different perspective of the works. Roberth takes photos from all angles and then combines them, with stunning results. 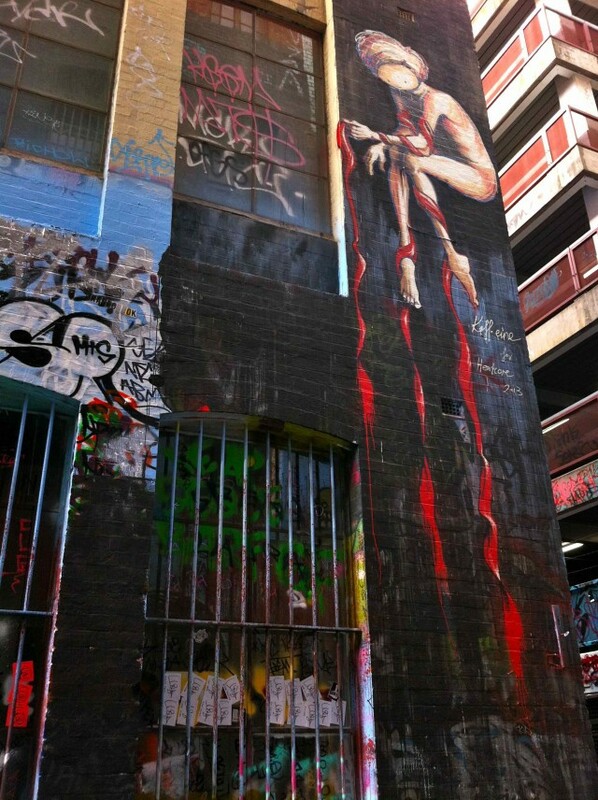 Adnate and Two One. Photo by David Russell. 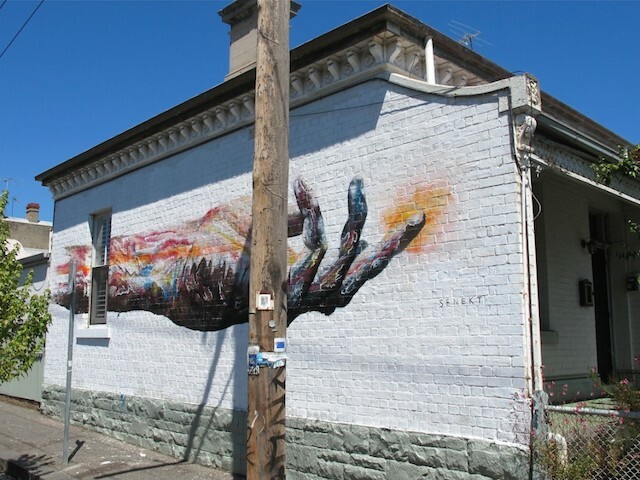 Adnate and TwoOne. Photo by Roberth Pinarete Villanueva. Kaffeine. Photo by David Russell. Kaffeine. Photo by Roberth Pinarete Villanueva. 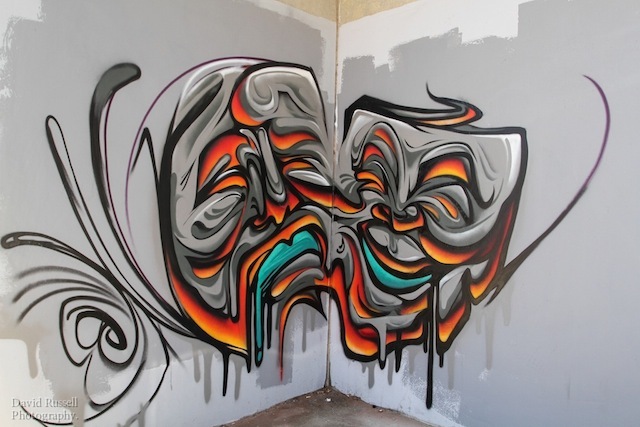 Awesome pieces by Putos, Style, Straker and TwoOne. 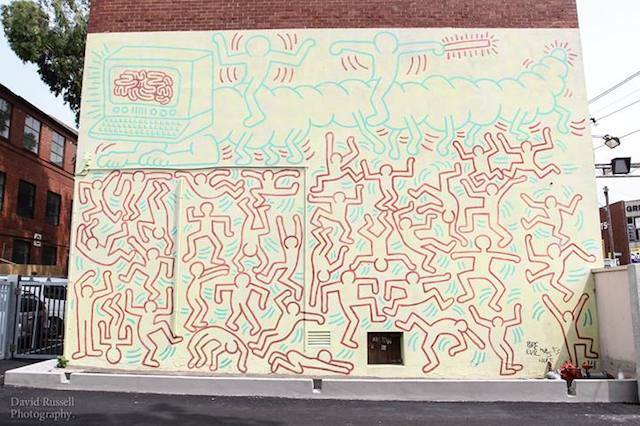 I’ve also included a shot of Keith Haring‘s mural painted in the 80’s which was recently restored (and if you look closely some idiot has tagged it already, hmmm). Putos. Photo by David Russell. Straker. Photo by David Russell. Style. Photo by David Russell. TwoOne. Photo by David Russell. Keith Haring (restored). Photo by David Russell. 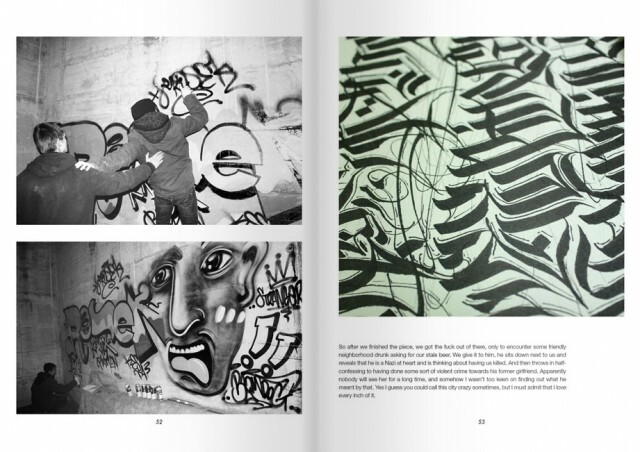 One from StreetsmART featuring Senekt‘s infamous fingers alongside another stencil by Akemi Ito. Senekt & Akemi Ito. Photo by StreetsmART. 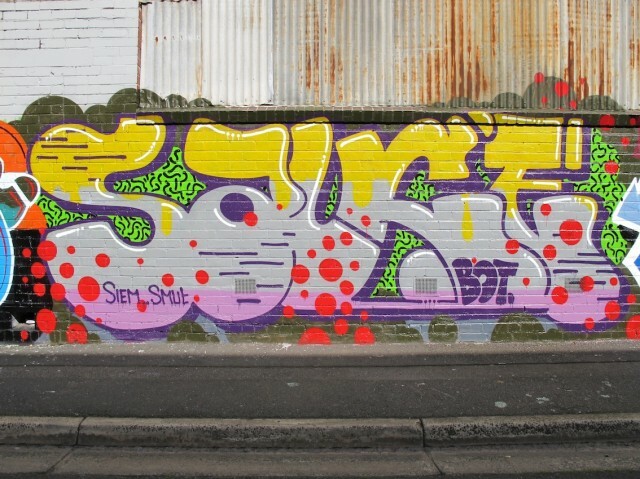 And to finish off the month, here’s my picks from Dean Sunshine’s top ten – great pieces by Shida, Senekt and DEAMS. Shida. Photo by Dean Sunshine. Senekt. Photo by Dean Sunshine. DEAMS. Photo by Dean Sunshine. Photos courtesy of Dean Sunshine, David Russell, AllThoseShapes, StreetsmART and Roberth Pinarete Villanueva. Damn, it’s February already. How did that happen?? (Actually – I have been extremely busy working on a new project which I hope to share with you soon). Sorry to keep you waiting for this post. December 2013 was another MASSIVE month in Melbourne, a great way to end the year. 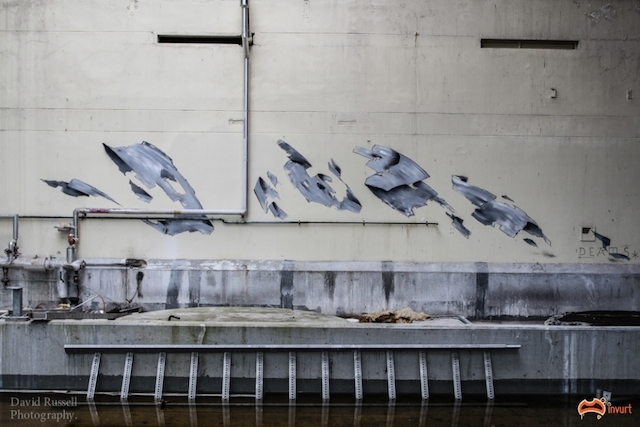 Darbotz, an Indonesian street artist, visited Melbourne in December and put together this great little video. 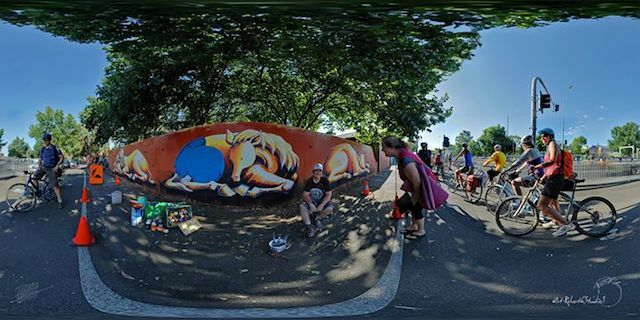 Adnate painted Strike Bowling in Macquarie in association with Red Bull. A great video by Michael Danischewski. 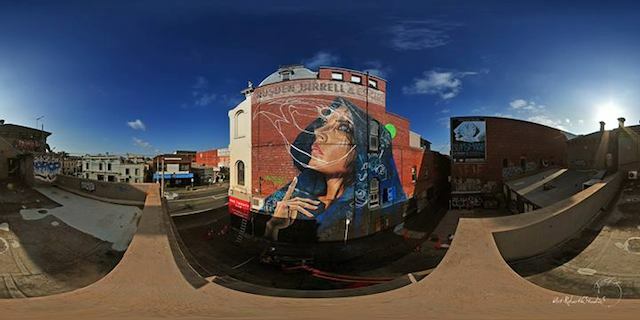 Adnate’s photo realism is just amazing. Wonderwalls, a 3 day street art and graffiti festival up north in Wollongong looked awesome, featuring a great line up of Australian and International artists. 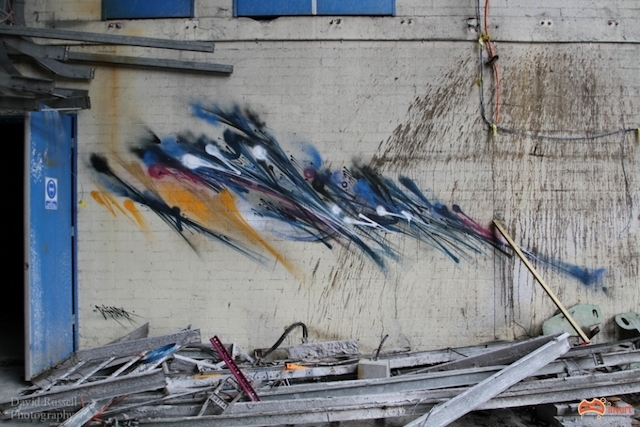 From Melbourne Shida, Wonderlust, Adnate, Two One, Idiot and Sirum. 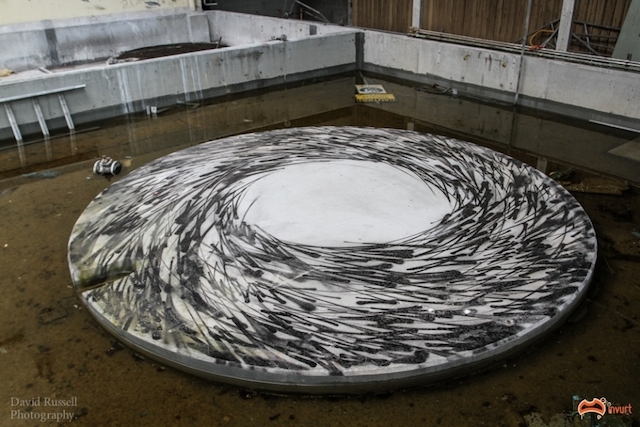 Wonderwalls Festival 2013 from The Hours on Vimeo. 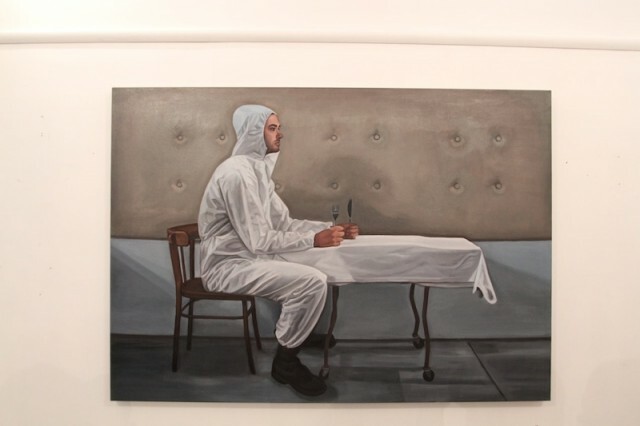 Backwoods Gallery had their last show “A Study of Hands” for 2013 and it was a cracker, continuing on in the anatomy series – which will apparently continue over ten years – epic. 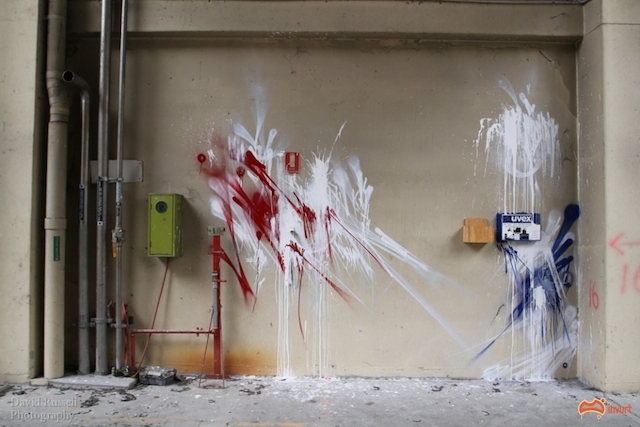 I particularly liked works by Dave Kinsey and Lister. 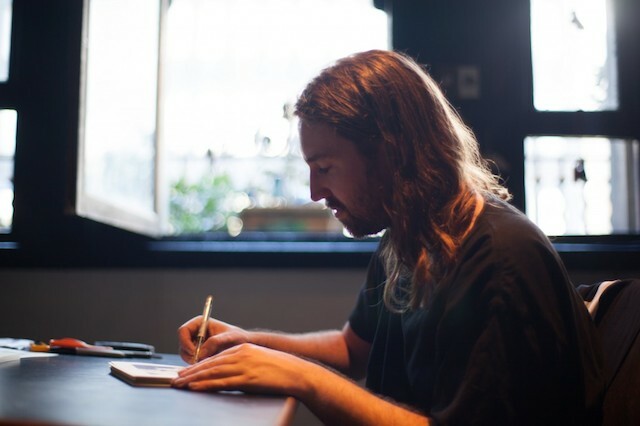 Alex Mitchell, Curator of Backwoods Gallery and writer for The Opening Hours was back in Melbourne for the month. 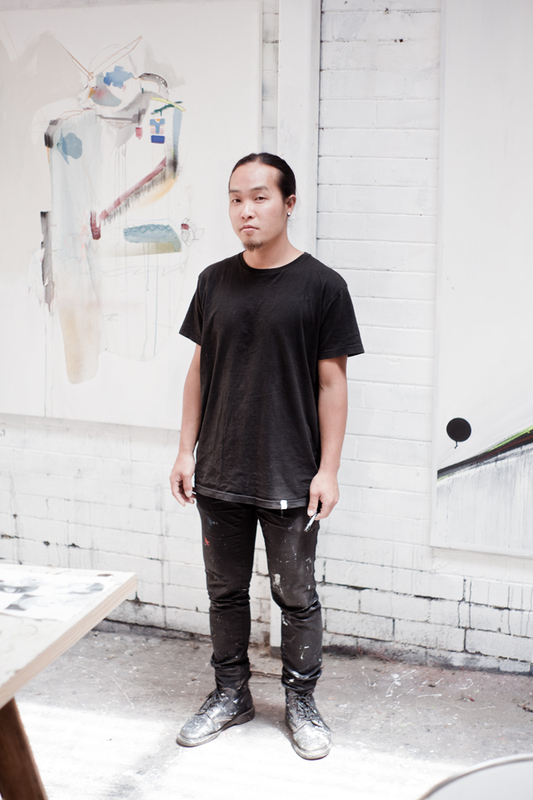 Alex did some great studio visits with Two One, Miso and Ghostpatrol. Some great, intimate photos. Two One. Photo by Alex Mitchell. Miso. Photo by Alex Mitchell. Ghost Patrol. Photo by Alex Mitchell. Everyone’s been talking about this abando and I can see why. David Russell managed to find his way in and capture some amazing work. 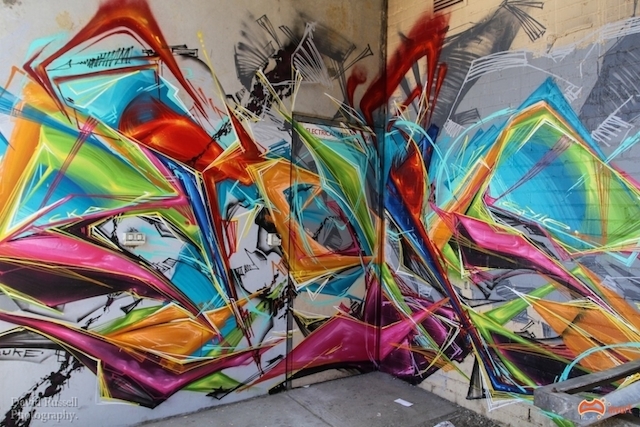 I really love Slicer’s geometrical shapes filled with his signature slices, as well as Deams, and Rashe’s pieces. All of this work feels so at home in this place. I do love abandos! More here. Deams. Photo by David Russell. Wow! 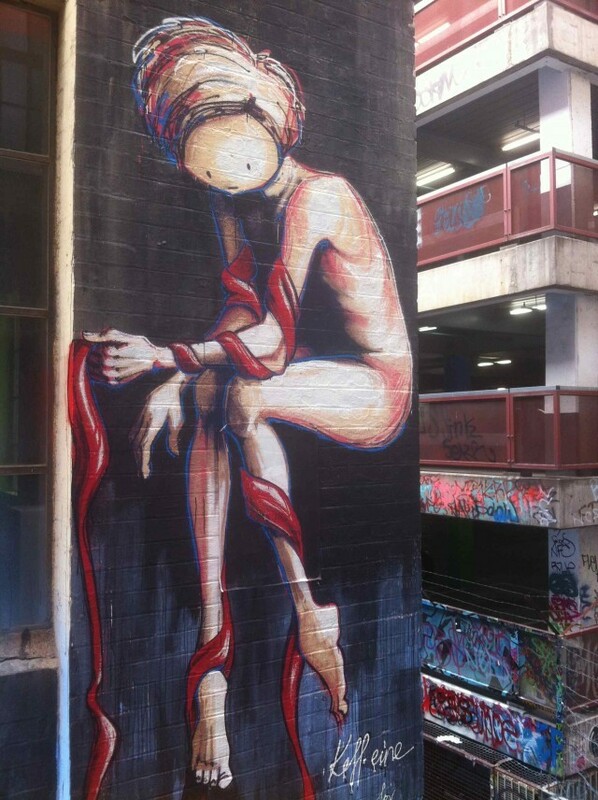 What a year it has been in Melbourne street art and graffiti, this is my 2nd last post covering 2013. December post coming soon. I hope you all had a good Christmas and New Years Eve whatever you got up to. I’ll start off with this great talk Ghostpatrol gave at Renew Newcastle Creative Talks. GP talks about his current life as a full time artist, growing up and the influence and importance of street art on his current work. GP also mentioned the ABC documentary made about him (and his partner – Miso) which is also definitely worth a watch – available here. Kaffeine used the All Your Walls event as a launching board for her latest project HEARTCORE. (I’ll be doing a separate article on All Your Walls Part 2 soon). 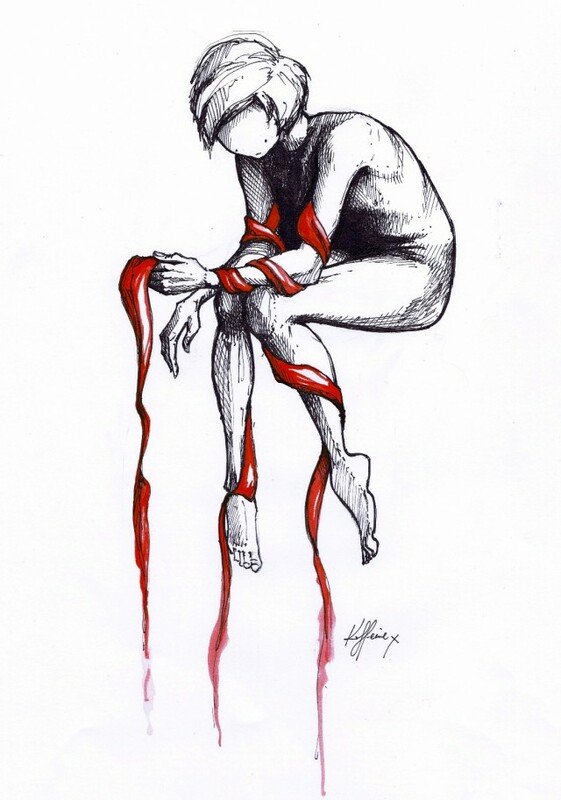 Kaffeine painted her 1st piece for her new project HEARTCORE. For this amazing project Kaff is working with Berry Street, a child and family services organisation, and using real stories created by young people at the at Berry Street. Kaffeine’s HEARTCORE sketch. Photo by Kaffeine. 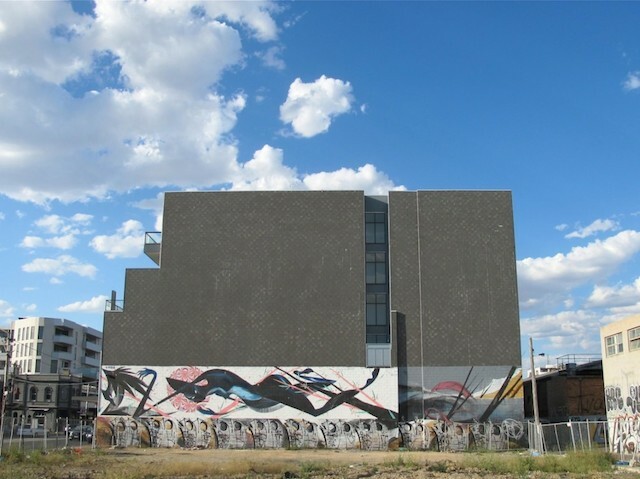 From the Just Another Blog “Creative writing and poetry from young people in Berry Street School will be interpreted by renowned Victorian street and contemporary artist Kaffeine and painted as a series of large and small street art murals on walls across Melbourne; including one that will take up a whole inner-‐city laneway. 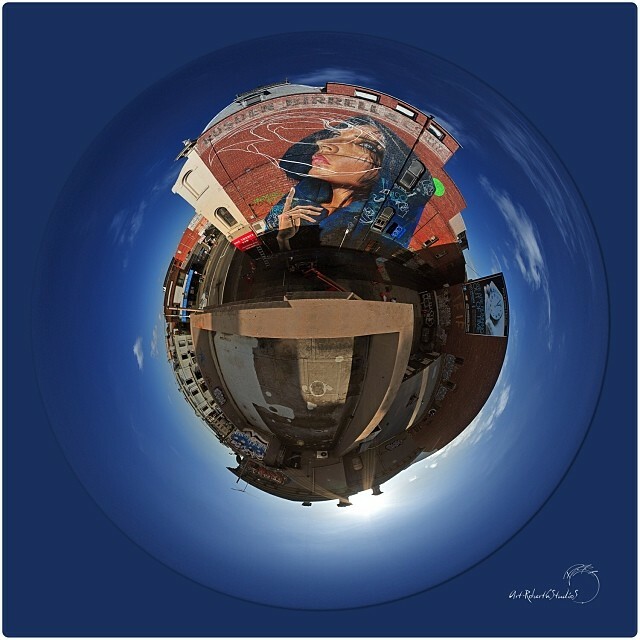 A coffee-‐table book titled HEARTCORE will then be launched at the conclusion of the project, made up of professional and artistic photographs of the murals together with the writing”. 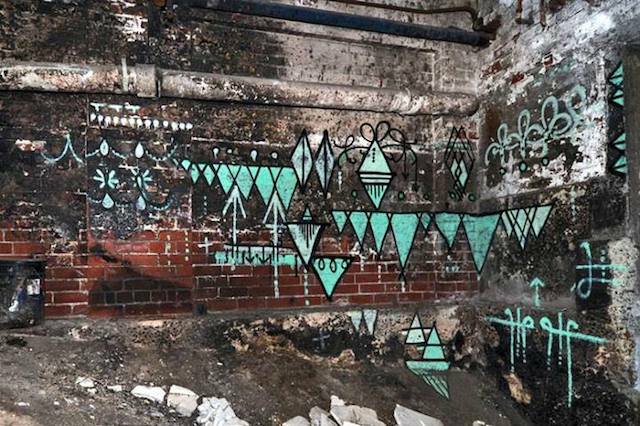 Plus here’s a great interview (via an article in The Age newspaper) with Kaff talking about the project/piece. I’m really excited to see what else Kaff produces as a part of this project. Juuuust in time for the end of the month, as usual. 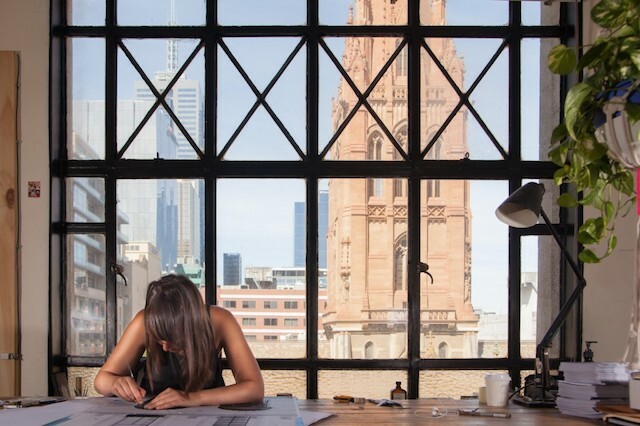 I’ve been working on some very special projects here in Melbourne all of which I will be sharing over the next month! September was another great month in Melbourne. 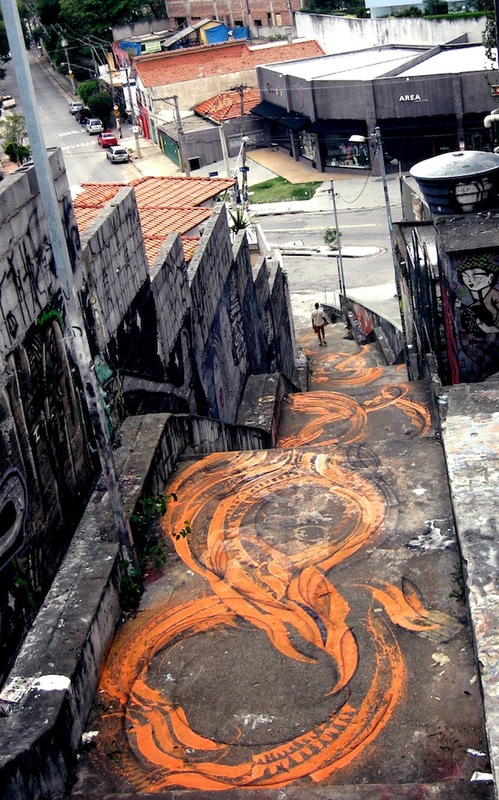 As usual a bunch of shows and some of the best street art and graffiti from the streets. Enjoy! 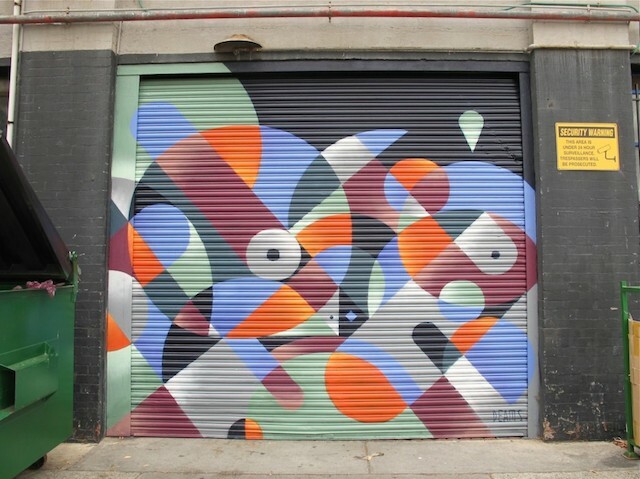 Meggs painted one of his biggest ever murals on the the Fare Share building. Fare Share is a “good rescue” organisation, taking unwanted food and making into meals for charity. Nice work. 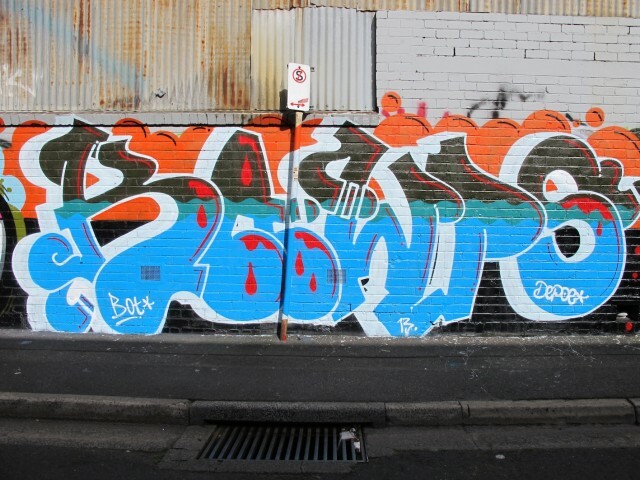 Some mad work in Collingwood by some of Melbourne’s most prolific writers, Bolts, Sauce and Kawps. More shots here. Bolts. Photo by Dean Sunshine. Kawps. Photo by Dean Sunshine. Sauce. Photo by Dean Sunshine. 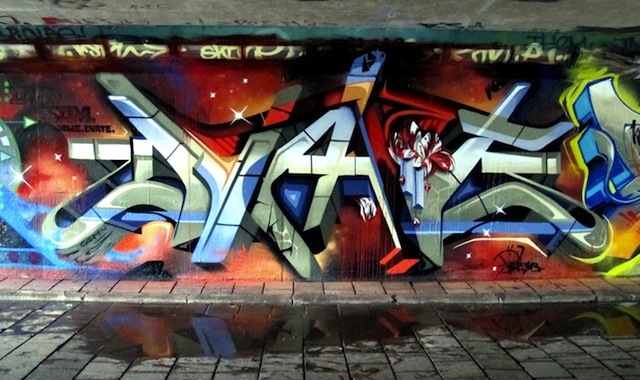 I’ve posted a bit of DVATE’s work in the past. 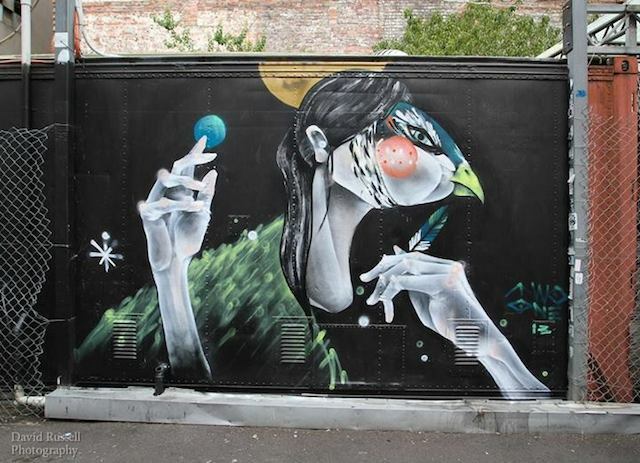 Here’s some more of his work on a recent trip across Europe (not sure who all the collabs are with). More here. DVATE. Photo by Just Another Agency. June was another busy month in Melbourne. My round up for the month includes trains, walls, shows, a rad new publication and some other bits and pieces of goodness.. I’ll start with my favourite train for June. 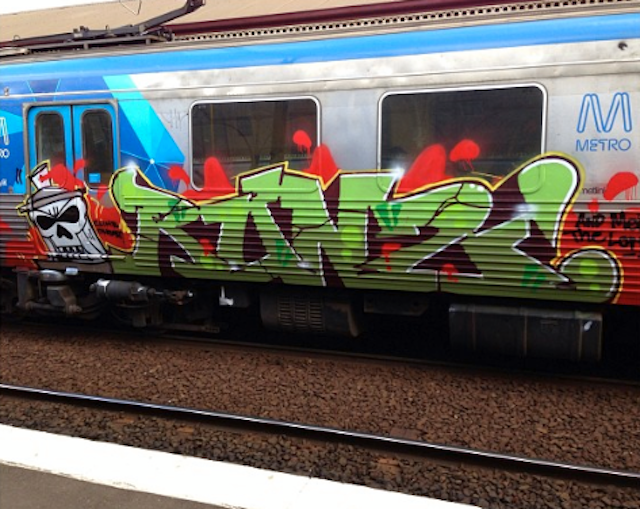 This one ran on June 6th – thanks to The best of Melbourne Graffiti for the pic. This guy has been killing it lately! RUNZ. 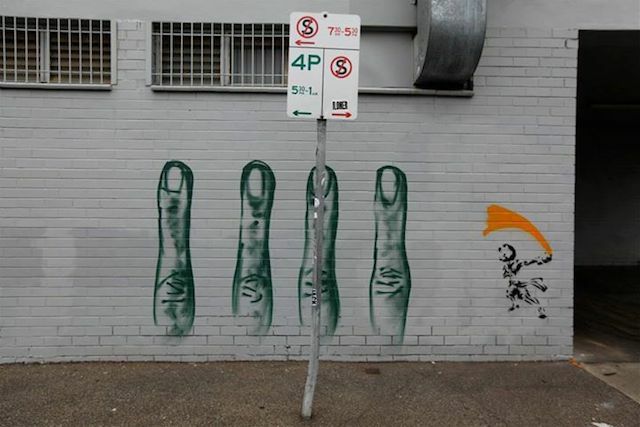 Photo courtesy of The Best of Melbourne Graffiti. Some shots from Burg’s show at the Vic below, more here. Burg’s street characters are some of my faves with twisted and expressive faces appearing all around Melbourne. Ok, so I am super late on this post, it’s almost July. 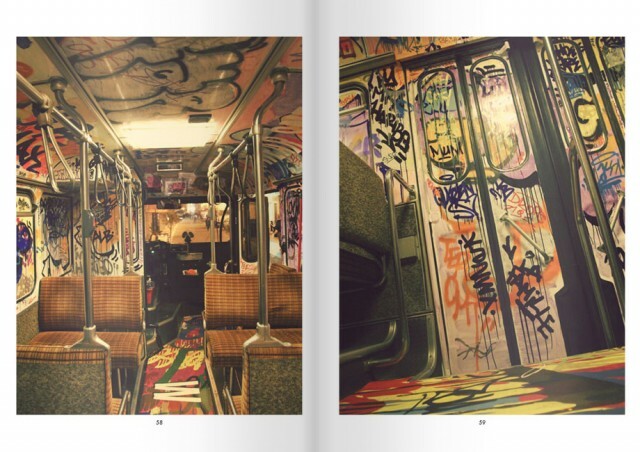 I’ve been extremely busy this last month working on an introduction to a friend’s street art book and also some exciting projects here in Melbourne (as well as taking care of my good mates Melbourne Street art blog while he is away), all of which I hope to share with you soon. Another massive month in Melbourne in April with some great events, shows and work on the streets. 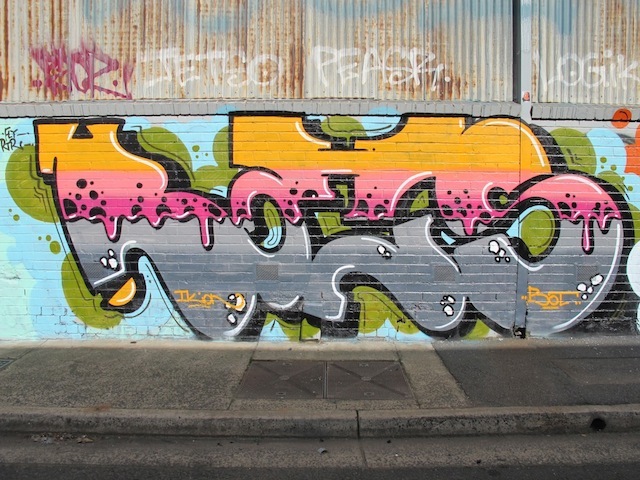 This month I’ve also decided to include a bit more on graff and also some work off the streets in some of Melbourne’s awesome abandos. 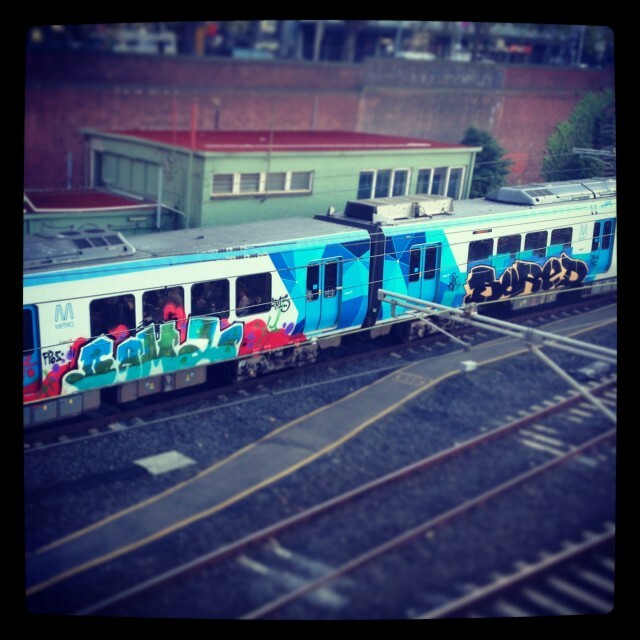 Melbourne Train Graff. Photo by Luke McManus. Damn. It’s almost May! Sorry this is so late but it’s worth the wait. March was another action packed month in Melbourne. Baby Guerrilla. Photo by David Russell. Starting off with Baby Guerrilla‘s show in Footscray. 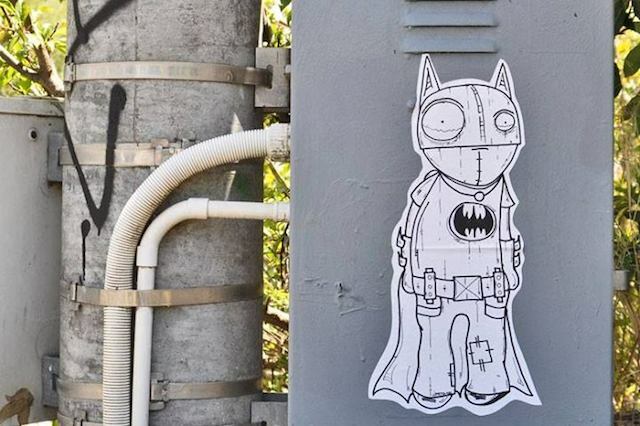 Baby Guerrilla’s paste ups have been adorning Melbourne’s walls for a few years now, and they are some of my favourites, her gallery work was new for me and I loved seeing a different side of the artist. 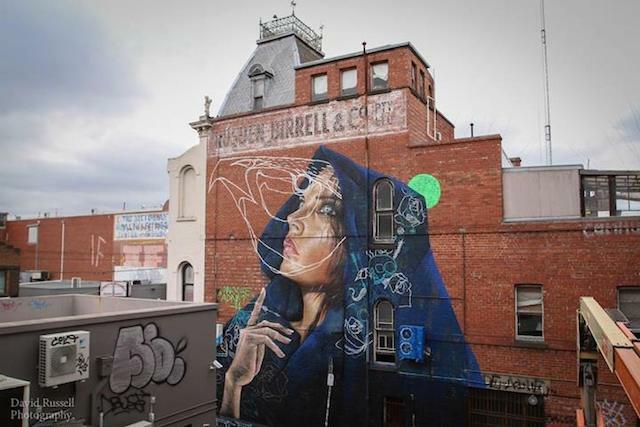 Adnate was 1 of 3 Melbourne graffiti/street artists that entered the renowned Archibald prize. 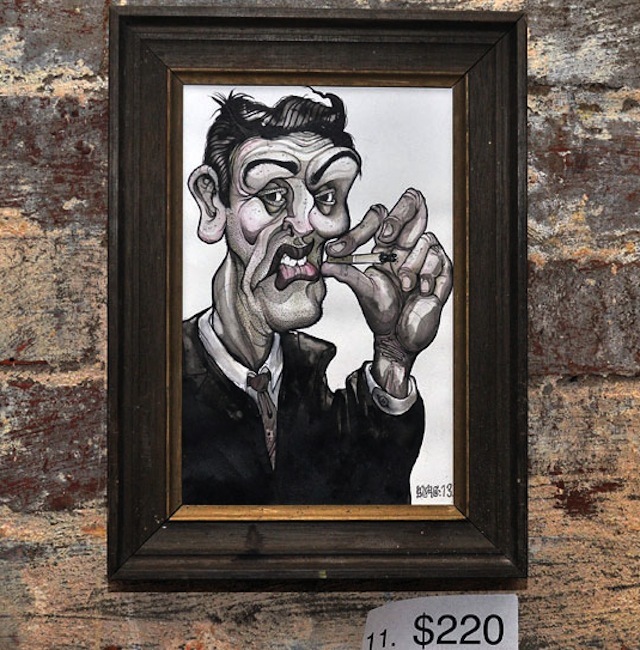 From the Archibald website “The Archibald Prize is awarded annually to the best portrait, ‘preferentially of some man or woman distinguished in art, letters, science or politics, painted by any artist resident in Australasia’.” It’s great to see some more modern painting techniques making it into this more conventional competition. 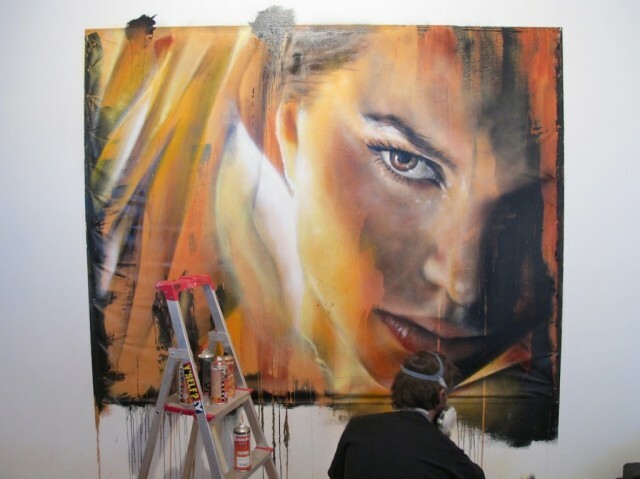 Adnate painted a portrait of Samantha Harris; an Australian indigenous model. Also make sure you check out the video by Michael Danischewski below. 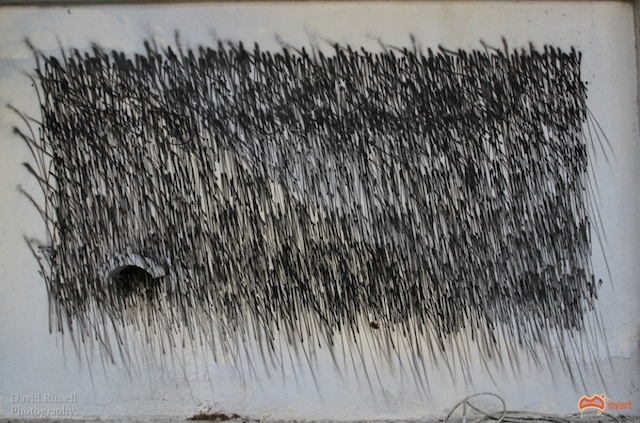 This week, the Iranian brothers Icy and Sot will have their first New York solo show, and it’s only open this Thursday through Saturday. Made in Iran will be at Openhouse, 379 Broome Street, New York. Lush also has a show opening in NYC this weekend. 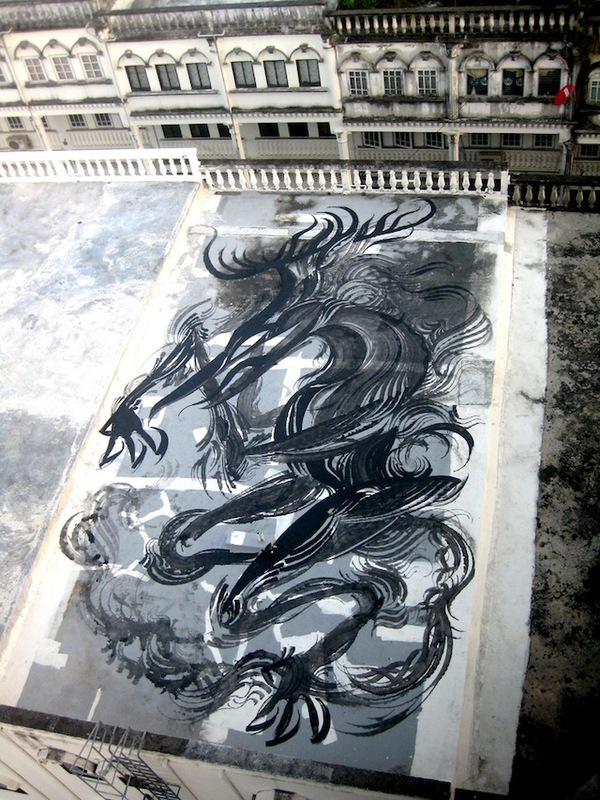 His will be a show of drawings at Klughaus Gallery. It opens on August 25th from 6-10pm. Lush’s show are practically a place to expect surprises, so best get their opening night before a blog like this one ruins the shock value for you on Sunday. If you do miss opening night, the show runs through September 7th. 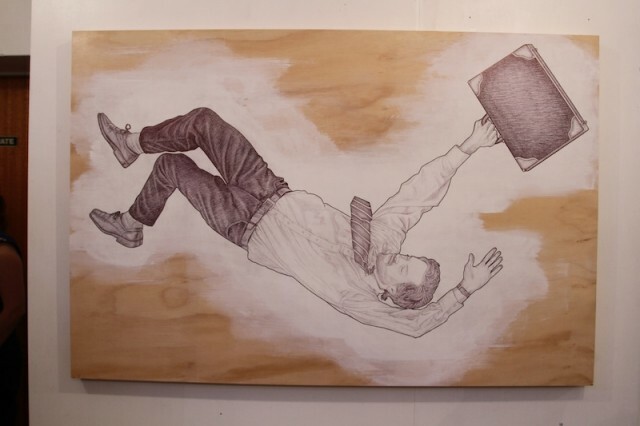 Next month, Stephen Powers aka ESPO will have his first New York solo show in over 7 years. A Word is Worth A Thousand Pictures opens September 7th from 6-9pm at Joshua Liner Gallery. 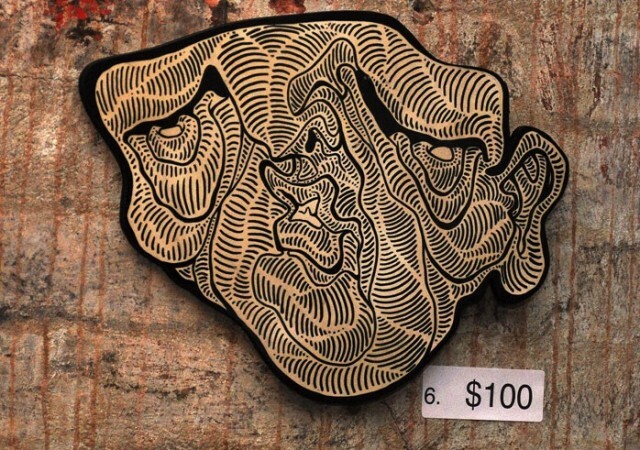 Galo Art Gallery in Turin has a great two-man show coming up with Bue and Chase. Brothers from Different Mothers opens September 9th from 5:30-9pm. 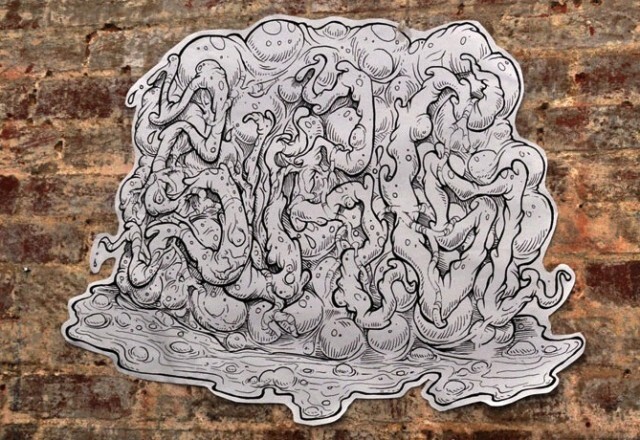 aMBUSH Gallery in Sydney, Australia has a big group show coming up with 67 artists including Anthony Lister, Askew, Does, Numskull, Vexta and The Yok. 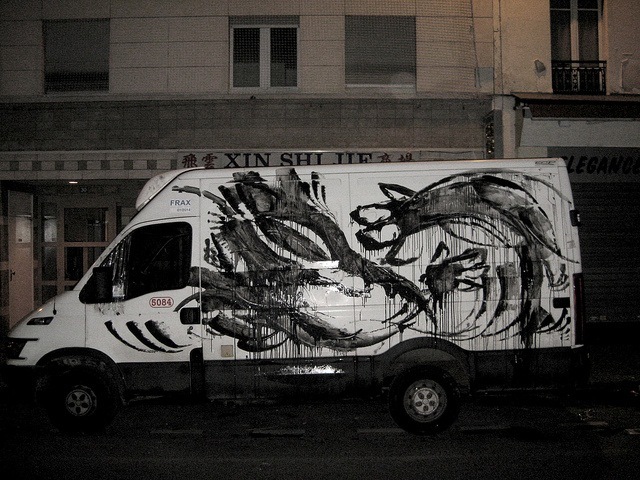 For Black and White All In Between, all the artists have painted on canvases of uniform sized and only used black ink. The show opens on August 31st from 6-9pm. 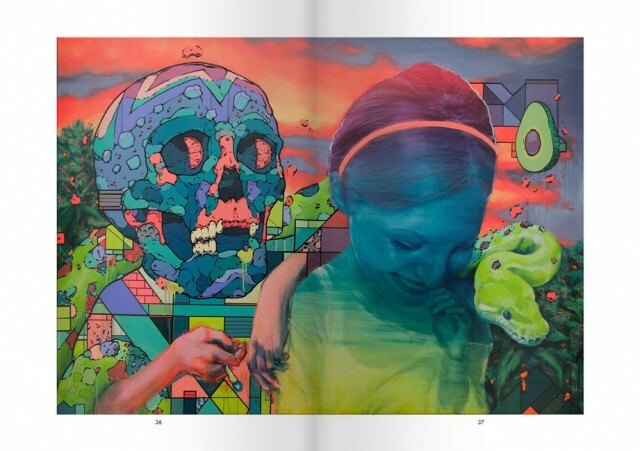 Jonathan Levine Gallery‘s next three solo shows open on September 8th and you will not want to miss any of them: Judith Supine, Audrey Kawasaki, and Jeff Soto. All three shows open from 7-9pm on the 8th. And speaking of Levine, I caught their current show earlier this week and it is great. Go it see before it closes. Gold Peg’s Release The Wolves go-karting project in South London will have a gran-prix expo on September 1st. It’s gonna be some crazy and fun stuff. And art too, but I think that’s secondary. Shepard Fairey is finally showing those paintings he did for Neil Young’s latest album. The few pieces I’ve seen photos of are impressive. 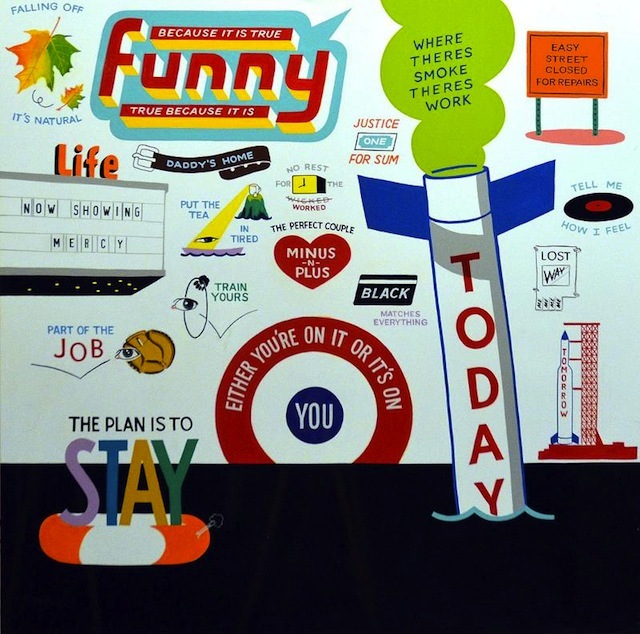 Americana opens at Perry Rubenstein Gallery (which recently moved to LA) on August 25th from 7-10pm. Finally, this last one is a mural festival, and it promises to be a big one… This year’s Urban Forms festival in Lodz, Poland includes Os Gemeos, Aryz, Inti, Otecki, Lump and Shida. 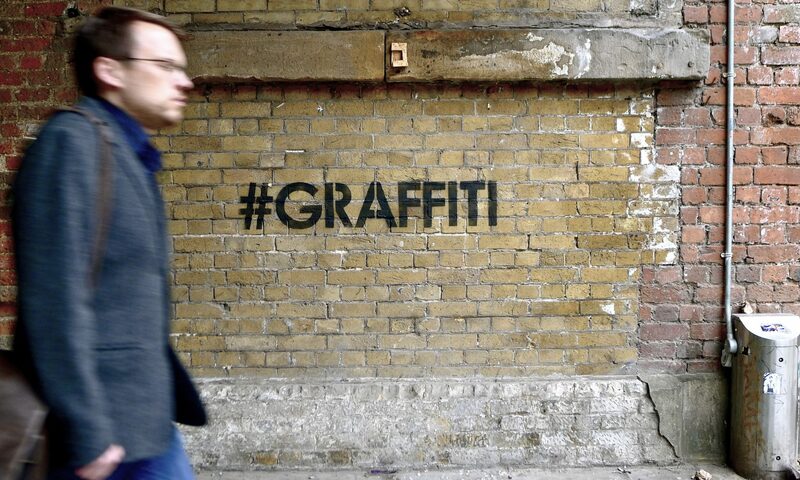 Certainly the most-anticipated work of Urban Forms is the promised collaborative mural between Os Gemeos and Aryz. 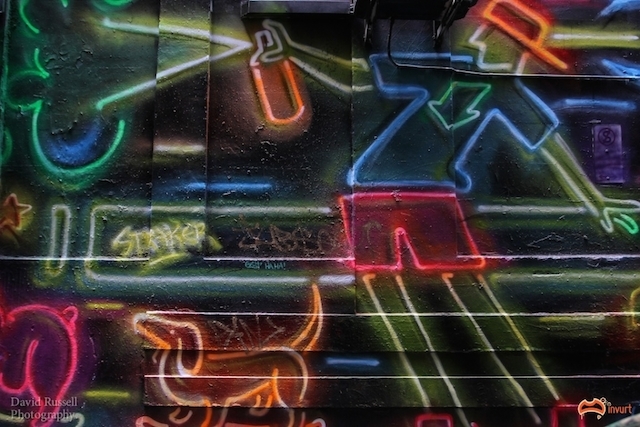 The events run from August 24th through September 30th and will bring the total number of murals organized in Lodz by the Urban Forms Foundation to 22. I can’t wait to see the photos of these pieces. Since Shida has a show opening this week at Inoperable in Vienna, I thought I’d post a few of my favorites pieces by him.